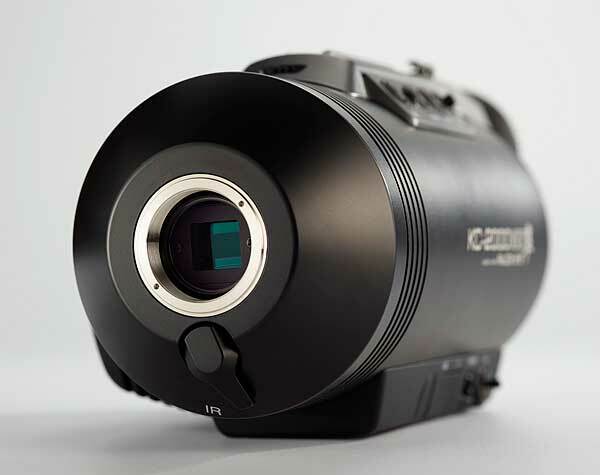 The Falcon Eye KC-2000 MKII camera can operate in color mode when there is even an invisible level of ambient light. In the IR mode it can operate in a no light environment using IR illumination. covers all surveillance applications: night and day, in all lighting conditions, in color or IR, in video and still images, short distance or kilometres away. Records equally well during day and night. High resolution image (HD) with natural colors makes it pleasant for the eye also after long time use. Captures video and still images with simple two button operation. High resolution in clear colors gives outstanding target recognition and identification capability. Movies and images can be used as evidence of crime scenes, as tamper-proof SD cards can be used (Write Once Read Many SD memory cards). Easy to operate with most settings done automatically. Video recording can be handled by persons without photographic background. Build for operation in tough environments. Housing made of CNC-machined aluminum block. Weather proof. Compact, light weight and excellent portability. Designed for handheld shooting.